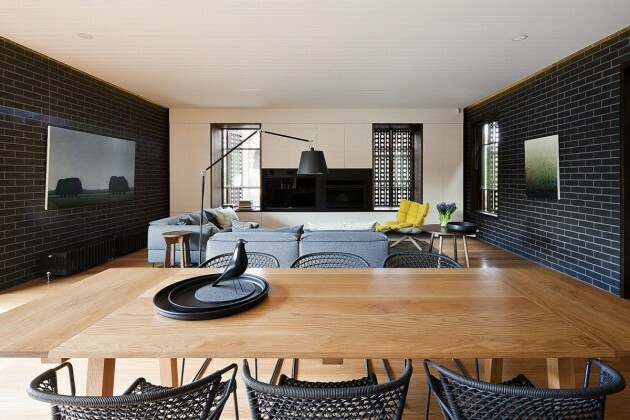 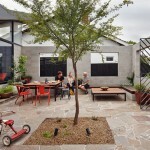 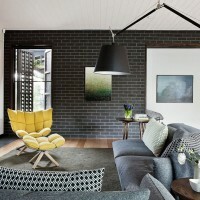 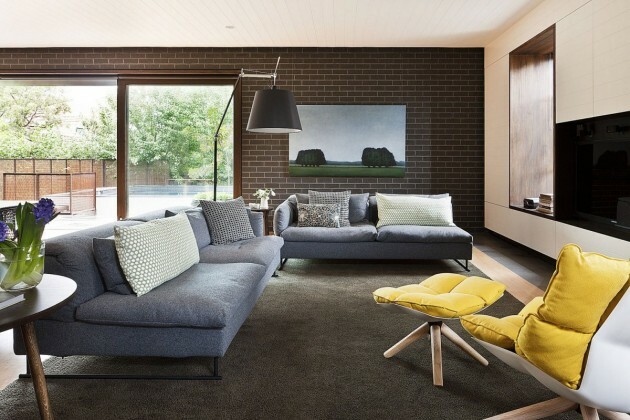 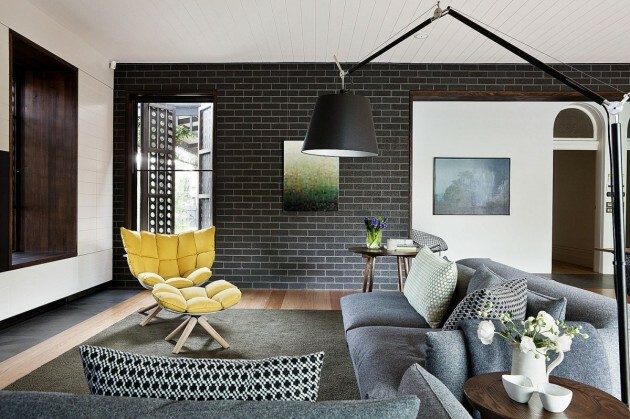 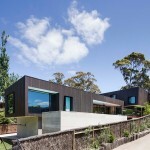 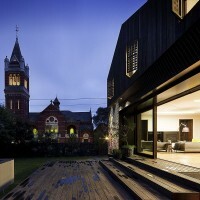 Jackson Clements Burrows designed the Twin Peaks House in Melbourne, Australia. 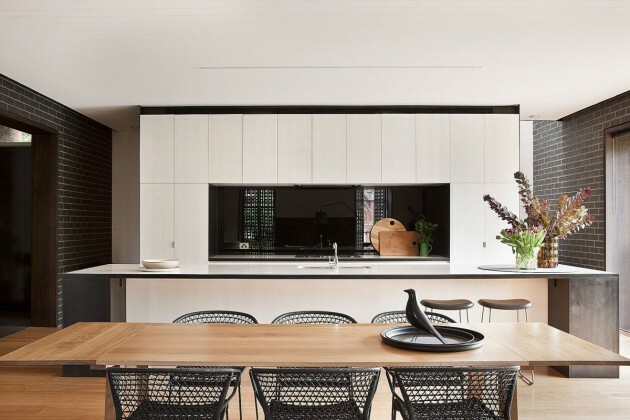 This project involved the design of alterations and addition to an existing Edwardian house of some historical significance which is located in an area with a Heritage overlay. 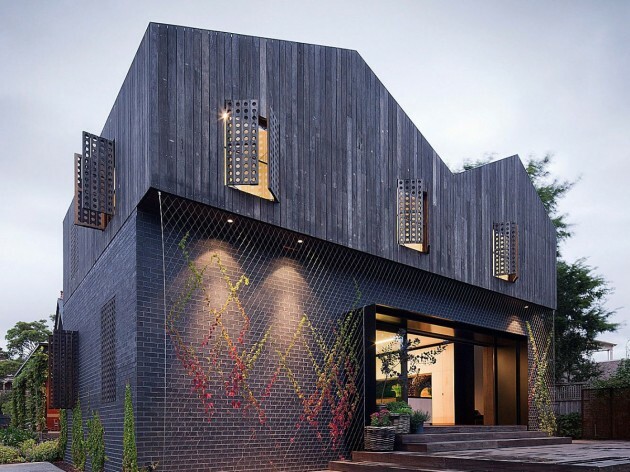 The external timber clad rainscreen is defined as a one third proportion that aligns directly with the existing slate tiled roof of the existing house. 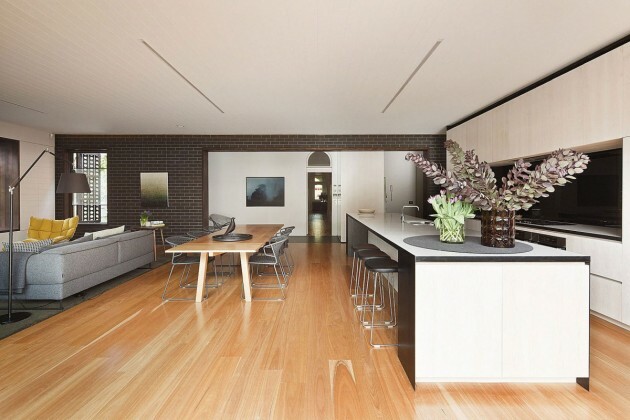 The use of materials normally associated with the exterior of a Heritage house suggests an inversion of our normal reading of an interior that is both surprising and yet reassuring in terms of its familiarity.